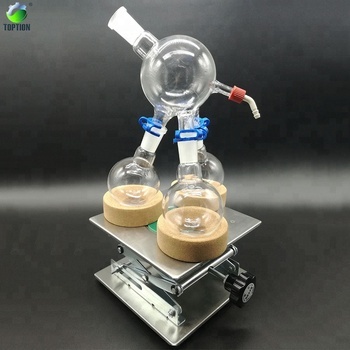 TOPTION Company Short Path Distillation / Molecular Distillationis a comparatively new separation technology. 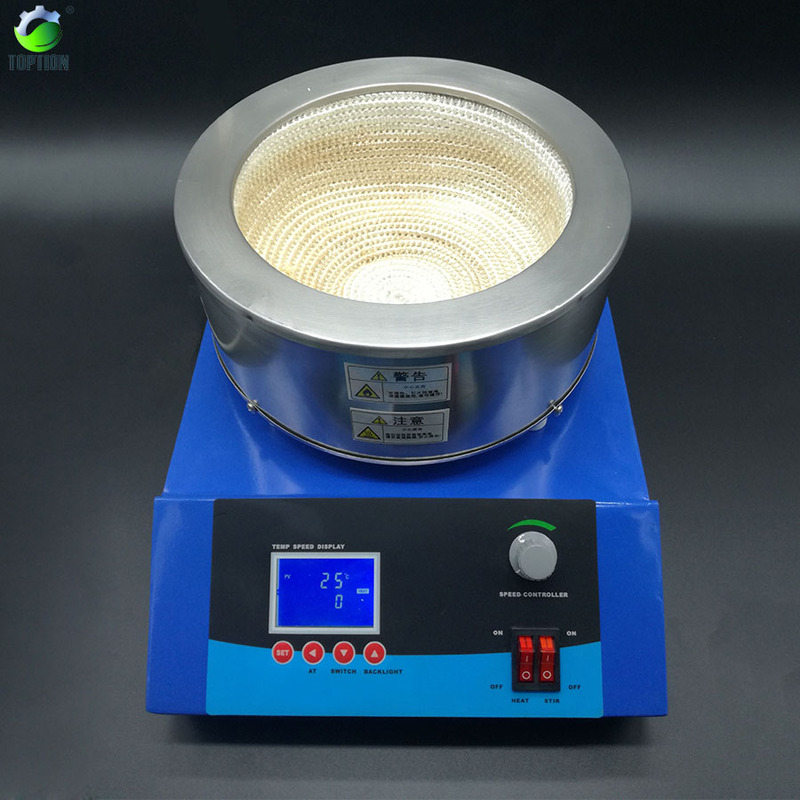 Based on the difference of mean free path of molecules under high vacuum condition, it can separate liquid-liquid mixture under the temperature which is far lower than boiling point. 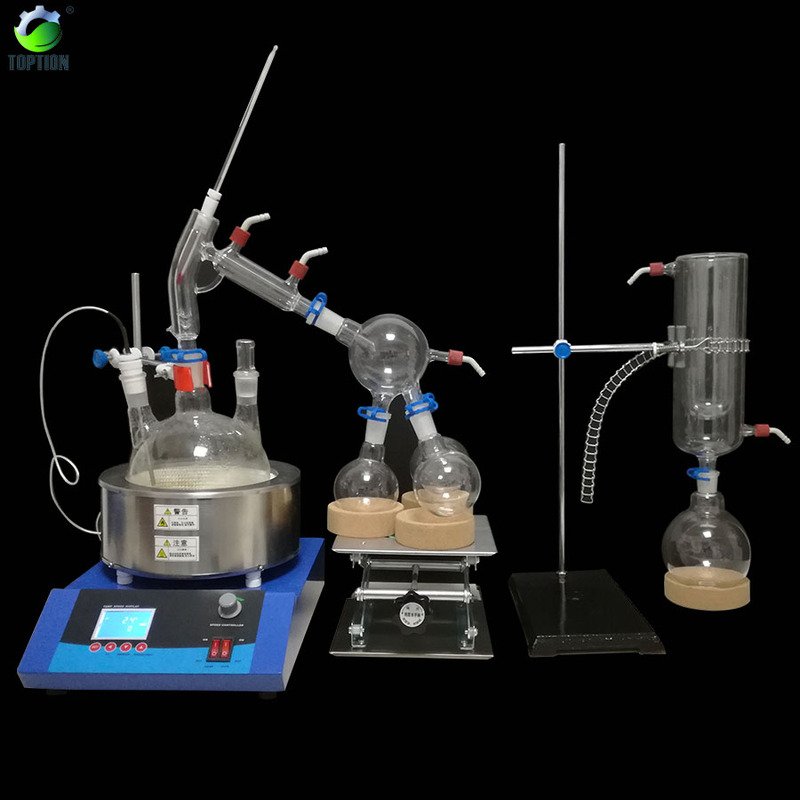 Such separation is difficult or unable to achieve on normal distillation equipments. 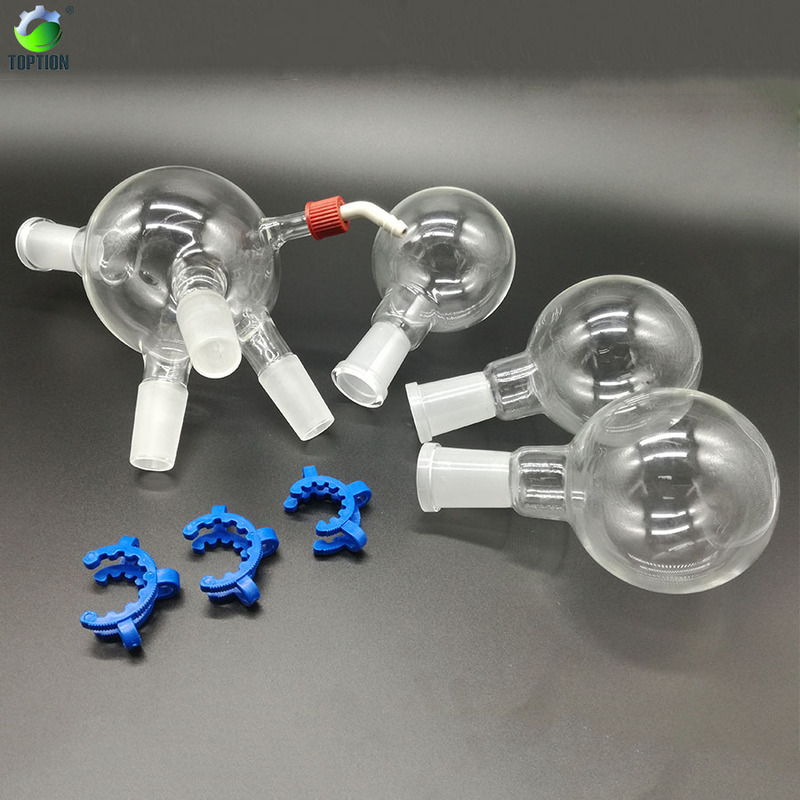 Molecular Distillation is especially suitable to separate substances of high boiling point, heat sensitive and easy oxidized. -Carefully designed 3-way cow adapter accommodates up to 3 pcs of 500mL flasks. 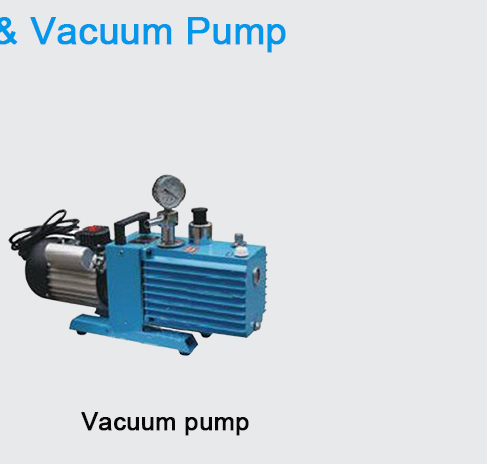 -TGCT-01 cold trap protects the vacuum pump from contamination and damage of vapors. 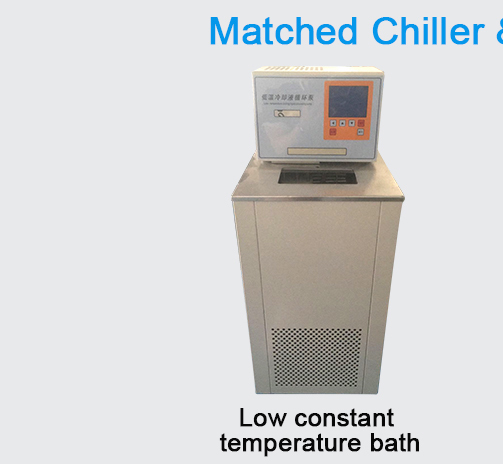 -Flexible choice of vacuum pumps and heater/chillers. 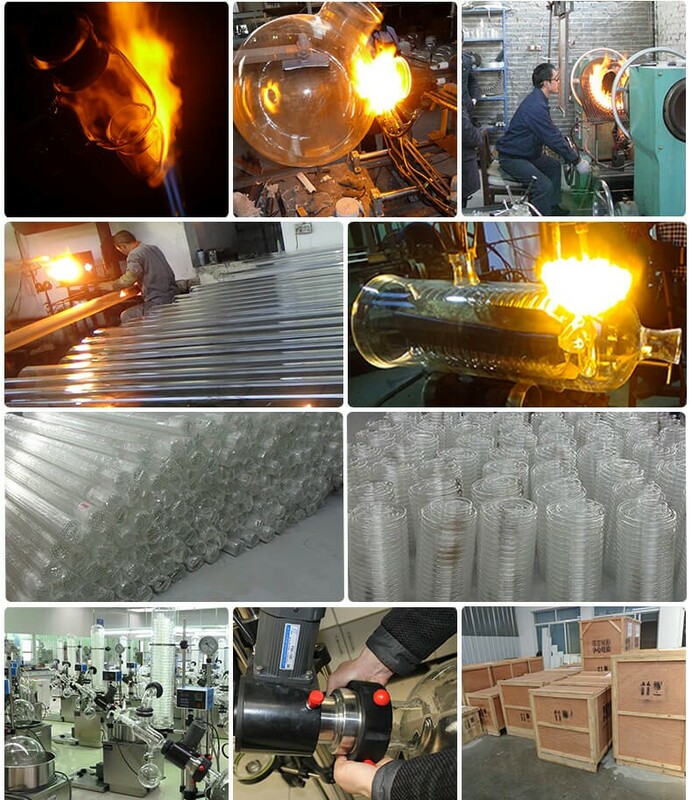 Main application field: Separation process in industries like Food, Pharmaceutical, Fine chemical, Electronic materials, Polymers (Polyols, fatty acids, polyphenols-compounds, polyurethane, epoxy resin, lactate, glycerol monostearate, flavors and fragrances, fuel oil and paraffin oil), essential oil extraction, etc. 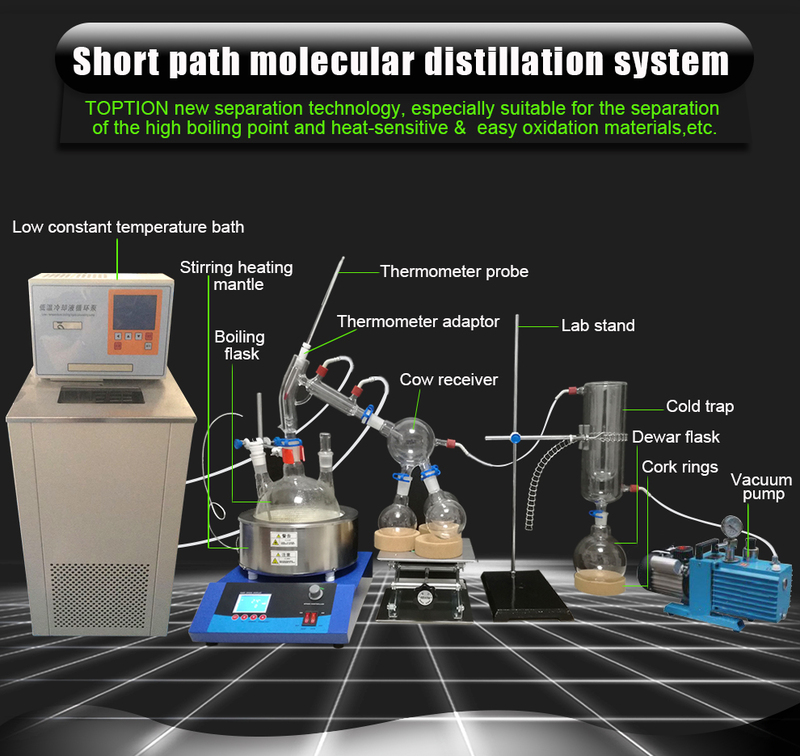 TOPTION provide professional solution for short path distillation. 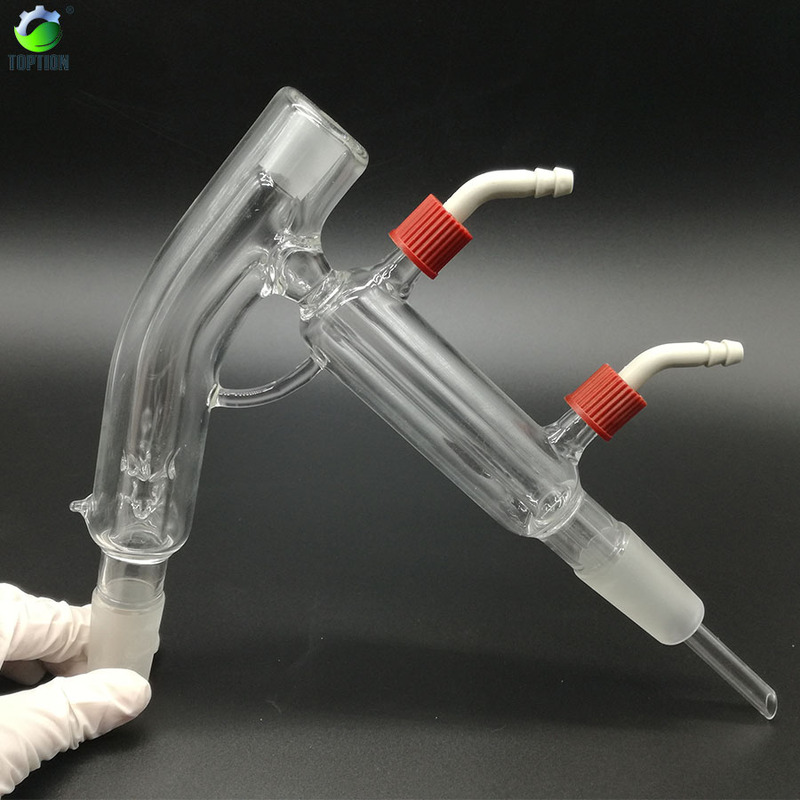 The complete apparatus includes a magnetic stirring heating mantle, glassware kit for short path distillation, cold trap, heater / chiller for precise cooling of condenser, necessary accessories (tubes, lab socket, etc). After place order,we will help you follow the shipping information until you get these machines;If any problems on delivery or using, we make sure you can contact us in 5 minutes. Our sales online 24hs.